Kanye West is good at lots of things, but he is also erratic, prone to fits of inspiration and revulsion. These qualities have made him an essential presence on any social platform he has ever engaged, whether it’s his early all-caps blogger musings, the great spates of Twitter news cycles he created around the turn of the decade, or his intermittent uses of Instagram. While he was preternaturally good at Twitter, Instagram seemed a much less crazy-making use of his time, a place where he’d float pictures of designer boats and textile samples he was vibing on. It was all very Kanye, but it also didn’t seem to stoke his outrage the way Twitter did. As he tweeted before joining Instagram, “I was thinking about getting an Instagram but only on one condition. No one can ask me or try to tell me what to Instagram... It’s my art...” Too true! Anyway, it all eventually got the better of him, and in May of last year, he deleted both accounts. Maybe someone tried to tell him what to Instagram. Today, he restarted at least one of them. What could this mysterious note mean? Who could this “babe” be? 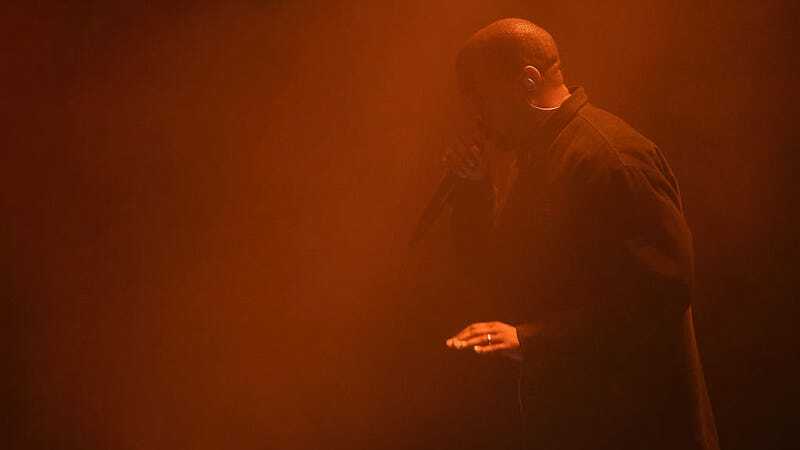 While fan speculation will surely attempt to suss out a release date for the follow-up to The Life Of Pablo—which was, close Kanye watchers no doubt know, released two years ago today—others think he’s probably just shouting out his wife. Time will tell. The message has, as of press time, not been deleted. Update, 4 p.m.: He’s added a bunch more—images of Cindy Crawford with Richard Gere, Johnny Depp with Kate Moss, Barack and Michelle Obama, and so on. You get the implication. Update, February 16: And now it’s all gone. That was fun!